When you want to look closer at a photo on your iPad, you zoom in with your finger. It's a pretty simple for stills, but there isn't a comparable feature for videos. That's where Condition One comes in. 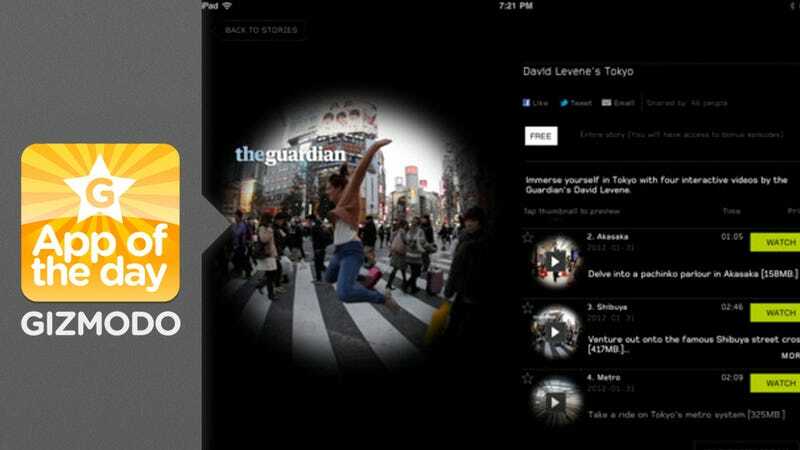 It's a new iPad app that lets you view footage in an immersive format. With swipes and taps, it lets you explore the videos you're watching on your iPad. You can change perspective and look at the shot from a different point of view.